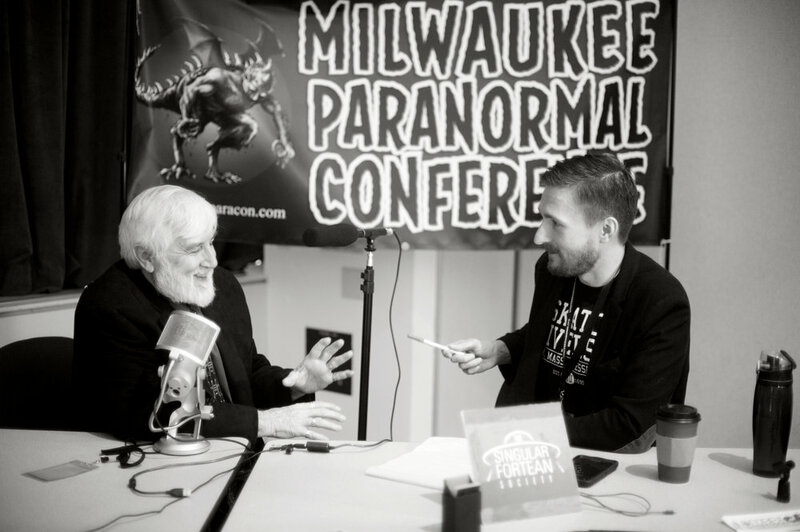 We received a wonderful welcome this year at the Milwaukee Paranormal Conference, and if you couldn't make it, or you did and want something to commemorate your experience, merchandise is still available here. 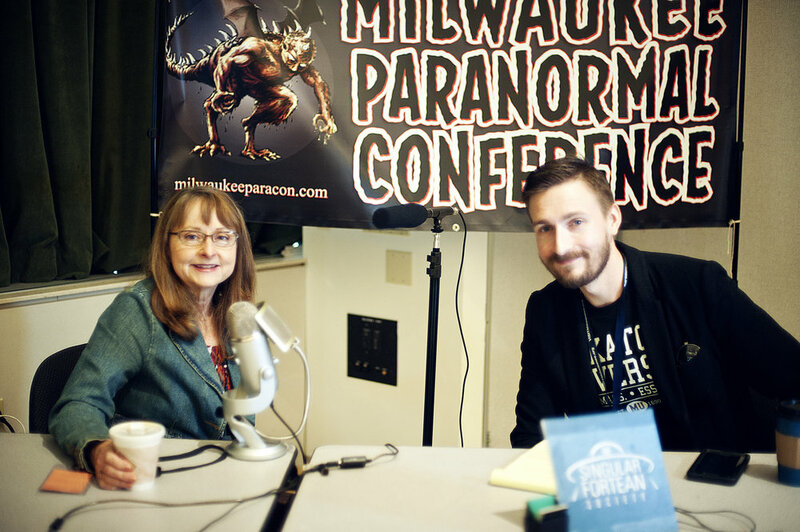 We had the opportunity to catch Linda Godfrey's talk on dogmen, and frankly we were more than impressed. 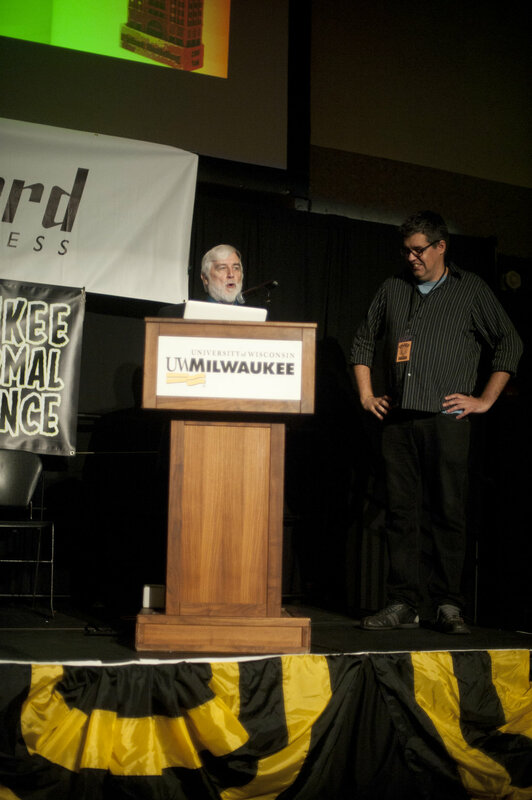 If you love local cryptids and weird stories from Wisconsin, then take a look at Linda's work. 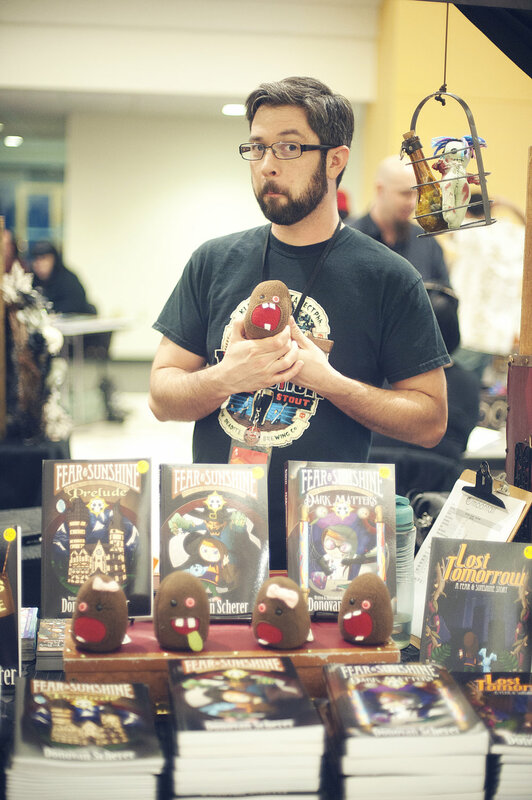 The vendor floor was packed with some of the friendliest and most talented people the fortean field has to offer. 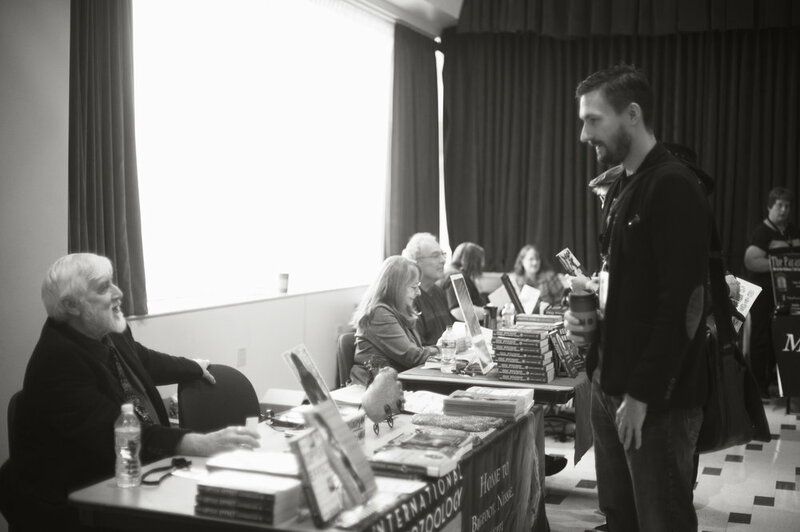 It's a wonderful thing to be able to actively engage with some of your favorite authors, and any nervousness quickly evaporates in the face of our shared interests. 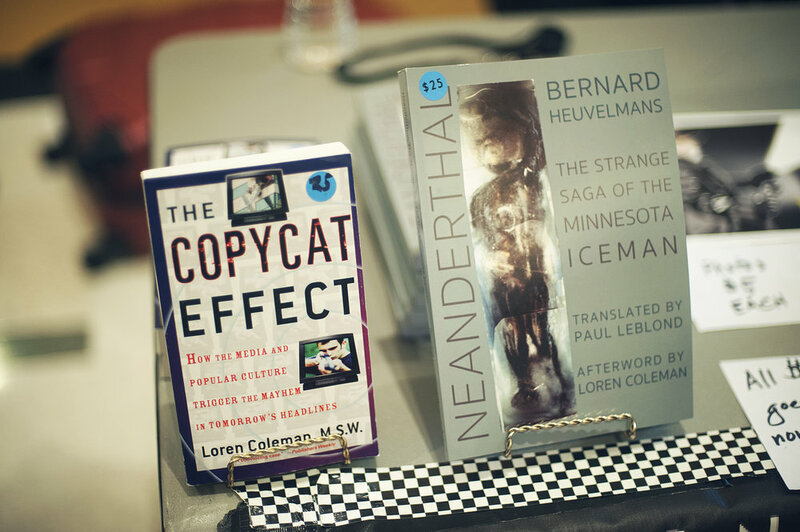 We were lucky enough to secure interviews with both Linda Godfrey and Loren Coleman, and they were both as interesting and personable as we possibly could have hoped for. You can watch the video of our interviews here at our website. Here's Loren being a good sport. 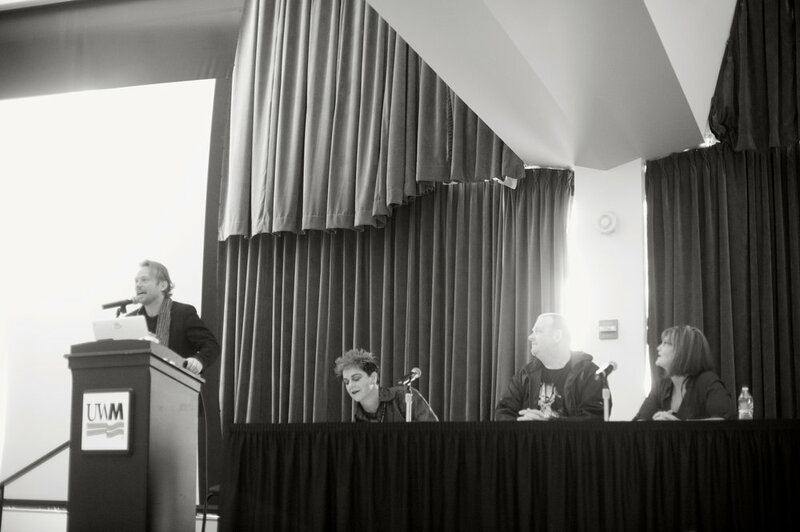 Seriously, I never know what to do with my hands. 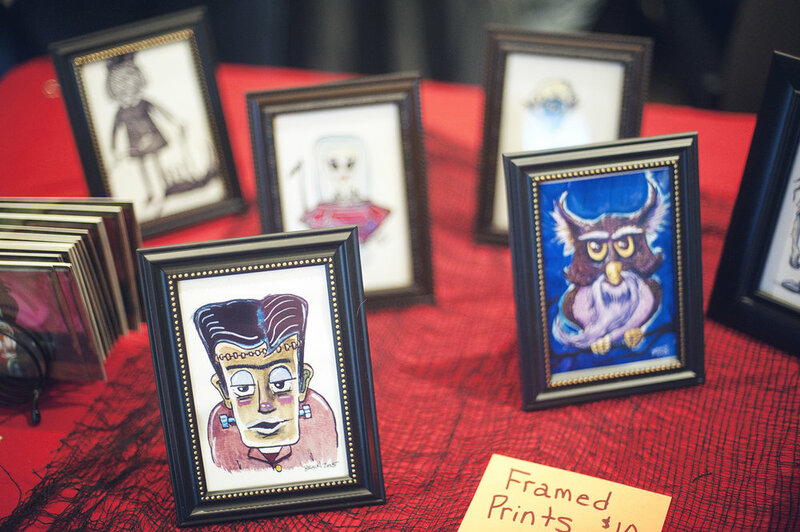 If you love odd art as much as we do, then do yourself a favor and take a look at all of the Para Con's vendors. 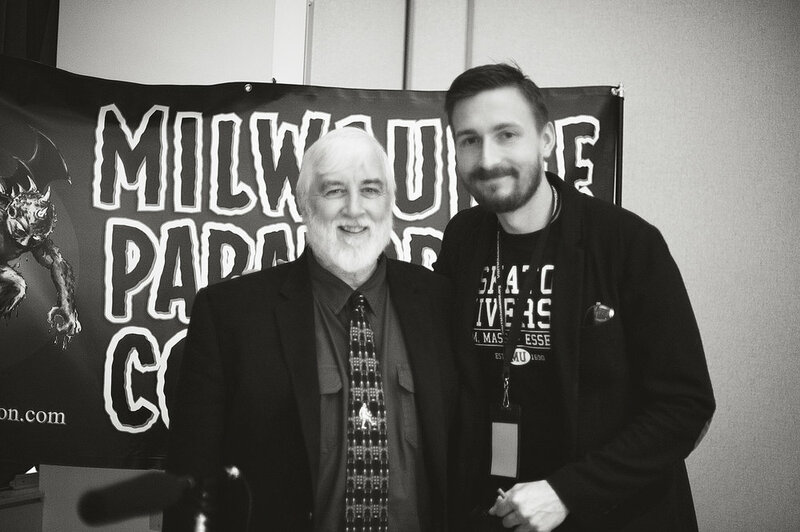 The conference's keynote speaker Loren Coleman did not disappoint as he regaled us with tales of cryptids, and even introduced us to a Milwaukee connection with the famous Minnesota Ice Man. 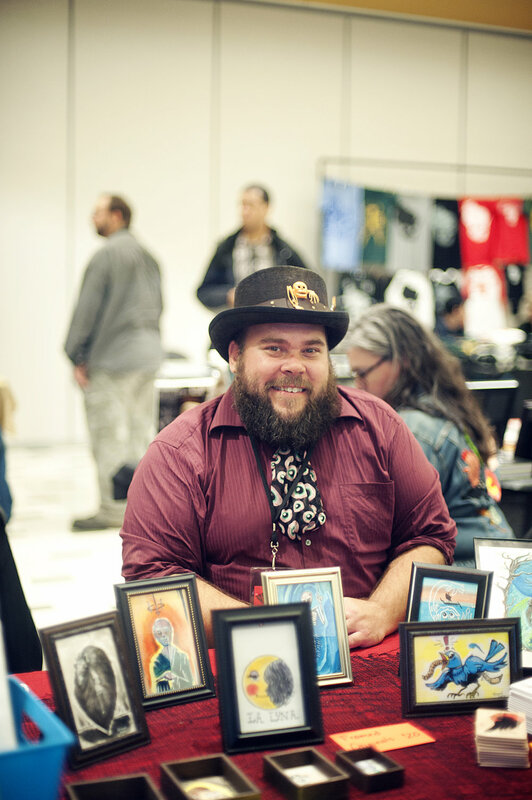 Take a look at Loren's work and support his cryptozoology museam, here. 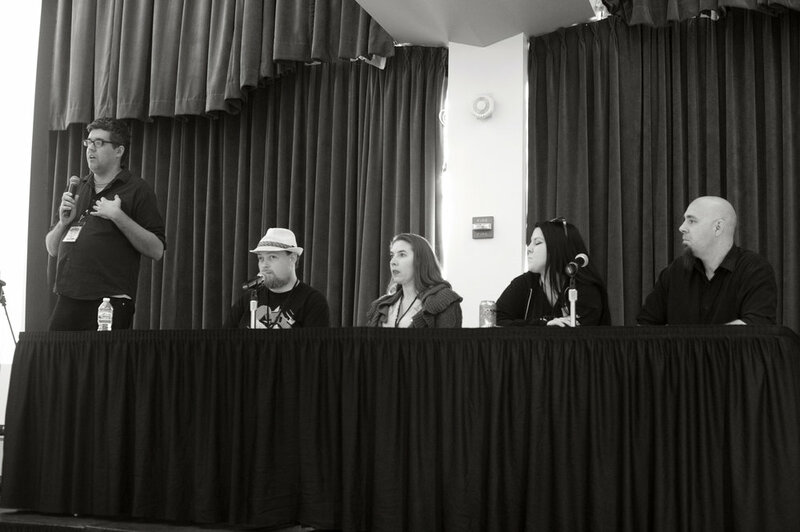 Sundays panels on Wisconsin's haunted places and urban legends were a great way to close out the con. 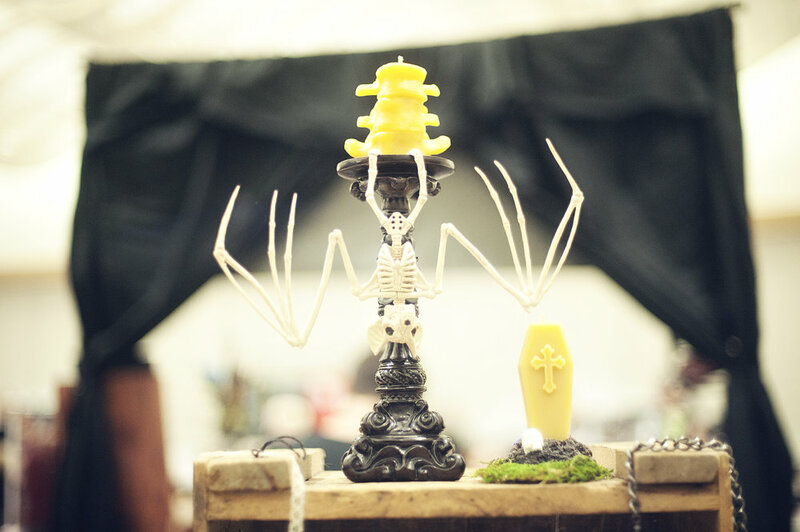 Check out our friends over at Madison Ghost Walks to learn more about haunted tours in your own backyard. 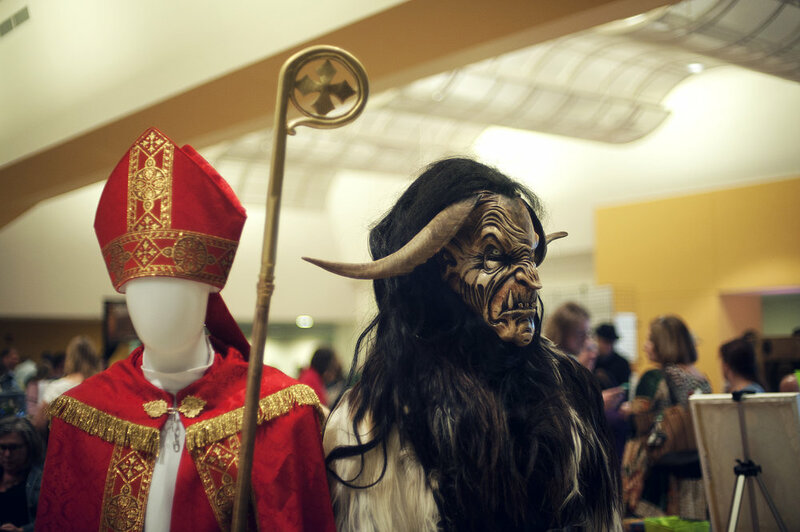 It's beginning to look a lot like Krampus. 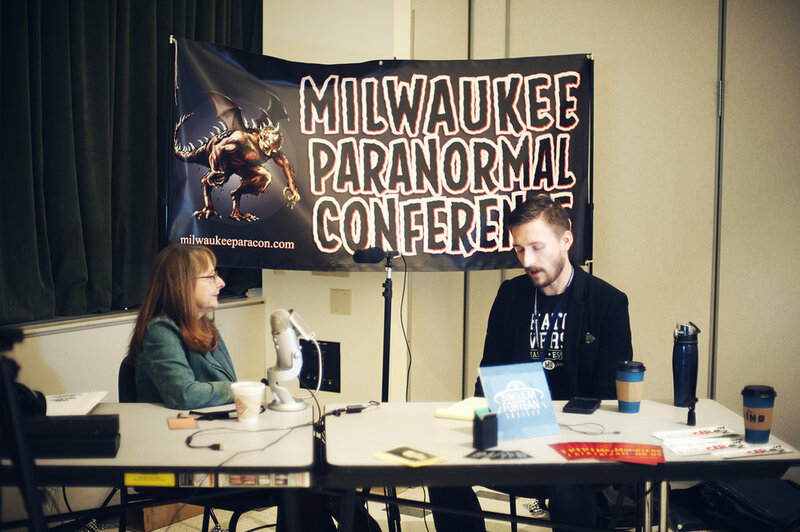 And personally, we look forward to making the Milwaukee Paranormal Conference a part of our holiday tradition.